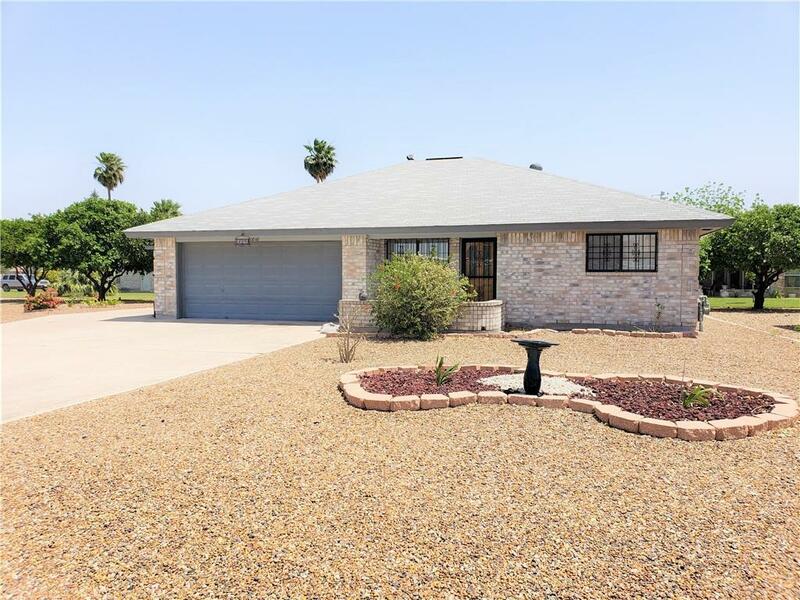 This beautiful gem is an eye catcher as it sits comfortably on a corner lot. 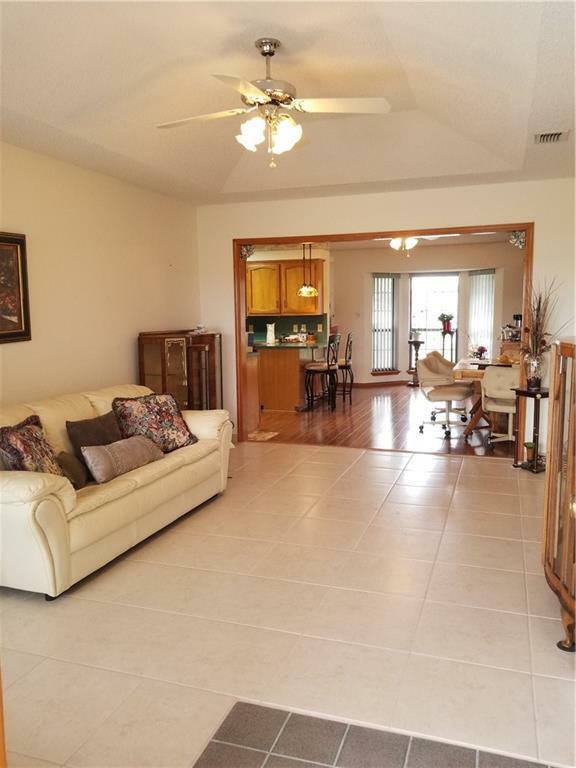 As you enter, the home has a formal living room with vaulted ceiling, and a separate spacious family room great for entertaining. The kitchen has generous counter space and a convenient serving hatch! 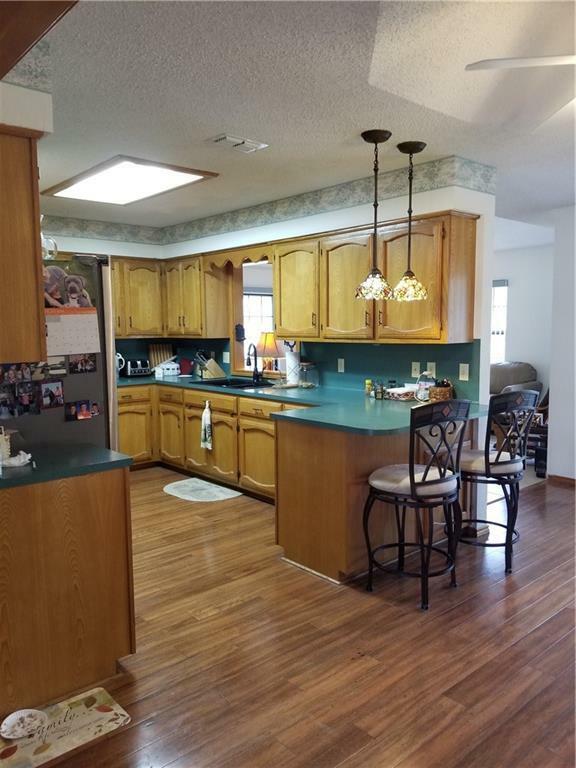 Genuine wood flooring throughout the kitchen, dining room, and laundry room adds a warm touch. The dining room comes equipped with a dining buffet cabinet. The master bedroom has built-in drawers and shelving, a double-door closet, and private restroom. In the spacious, fully tiled, two-car garage, you'll find plenty of built-in shelving, built-in cabinets, and a built-in closet ideal for extra holiday storage. The large patio is partially covered, and has tiled flooring. The back yard is nicely adorned with four, fully mature, fruit-bearing citrus trees - two grapefruit and two orange. What a find! Schedule your showing today. Community Amenities Certified 55+ Community Country Club Golf Available Pool Privileges Property Owners' Assoc.